To increase security on campus, Fastlane turnstiles have been installed by Telepen at the entrance to the College’s main teaching building. The design of the entrance is open plan and boasts an impressive glass façade. In such a large, open plan area, it can be difficult to control pedestrian access and, in the past, it has been too easy for unauthorised individuals to gain entry to the facility. 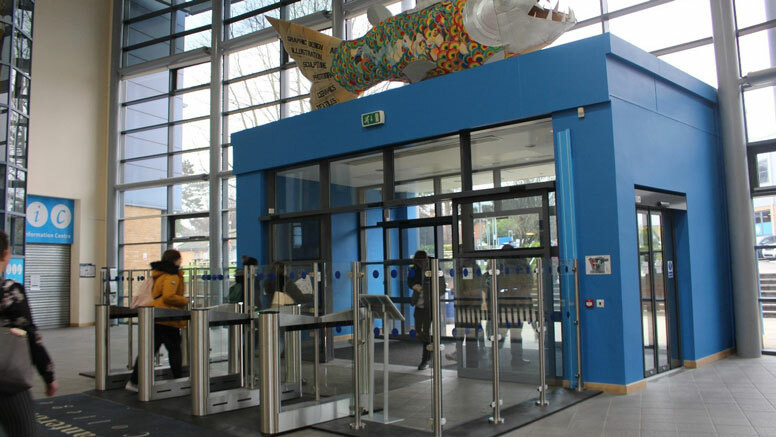 Director of Estates for East Kent College Group, Stewart Haywood, wanted an entrance control solution which could monitor the access of authorised users without causing inconvenience, prevent unauthorised individuals from gaining entry and complement the design of the building. Looking for a highly visible yet still attractive security option, three lanes of Glassgate 400s with 1.5m barriers were chosen and installed in December 2018.